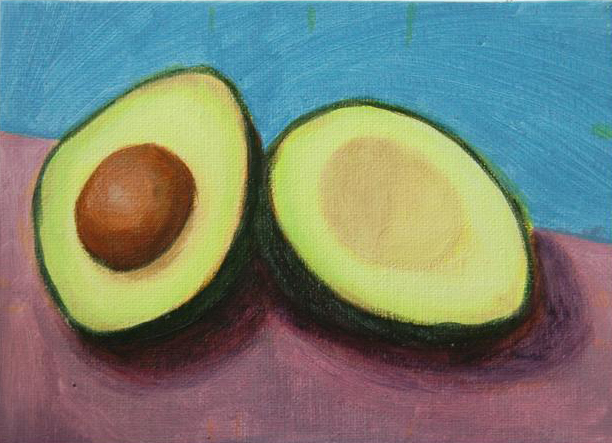 Our local art center hosts an exhibition specially for student artists every year. 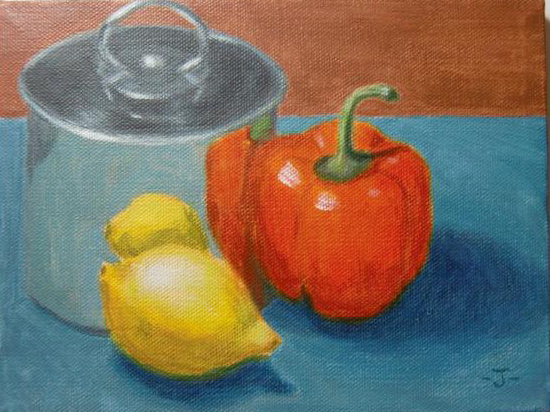 I submitted two still life paintings – “Lemon and Bell Pepper” and “Grape and Grape Juice”. They are my latest paintings in stretched canvas. With stretched canvas, I don’t have to frame them. I just need to paint the sides of the canvas. To be accepted, I also have to make it ready to be hung on the wall – I bought a picture hanging tool kit from a dollar store at $1.25 and installed it myself. So excited – this is my first exhibition ever! Today is the grand opening of Student Show. There is a student performance in the opening as well. I normally have one egg in my breakfast every day. 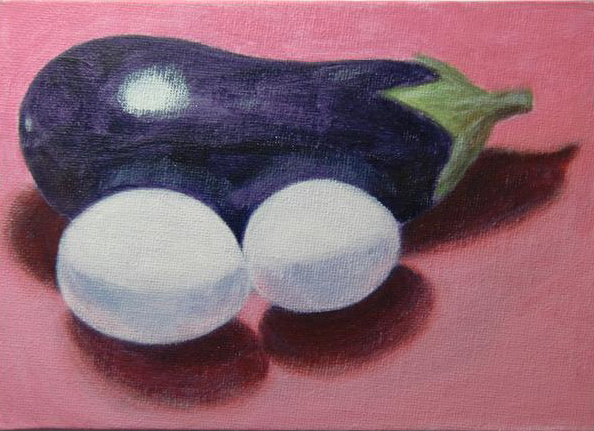 What’s the relationship between egg and egg plant? They must be relatives. 🙂 Look at this painting! Different colors of Bell Peppers are my favorite vegetables. They are nutritious and tasty. 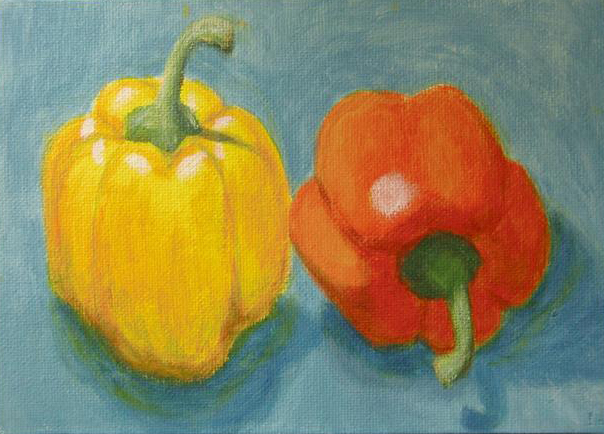 I think I am going to paint Bell Pepper series. 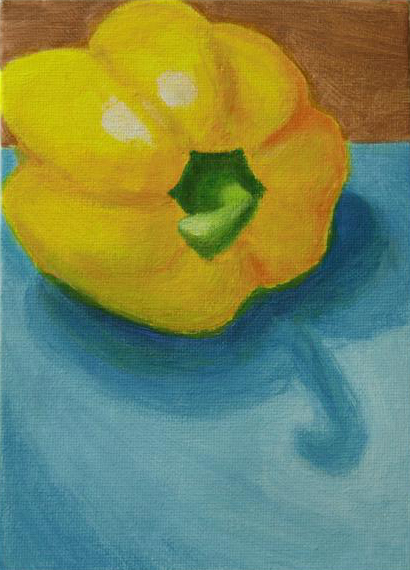 There was a weekly painting challenge in DPW – The Yellow Challenge. I like color yellow since it’s the color of sunshine. It’s energetic and cheerful. This is the first time I participate in the DPW challenge. People in DPW are mostly professional artists. I am here to learn from others. 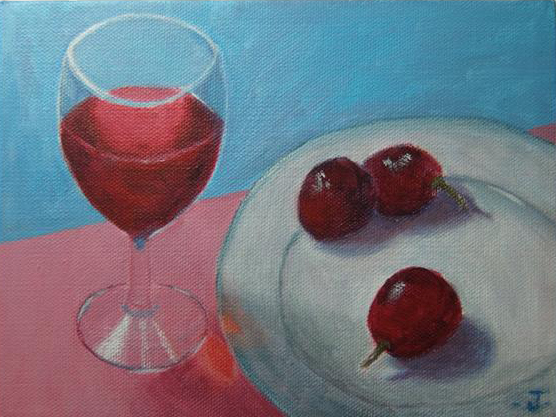 It was painted in acrylic on a 5×7” canvas panel. 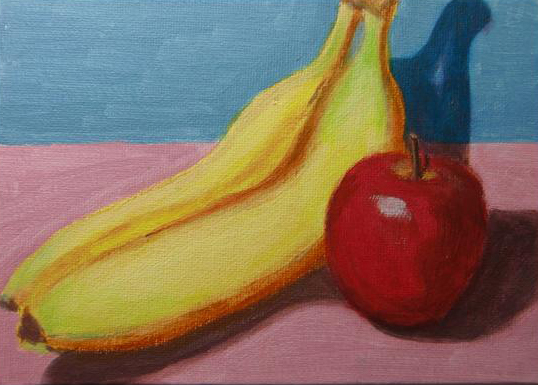 If you are interested, the painting is $25. Click “Buy Now” to purchase.